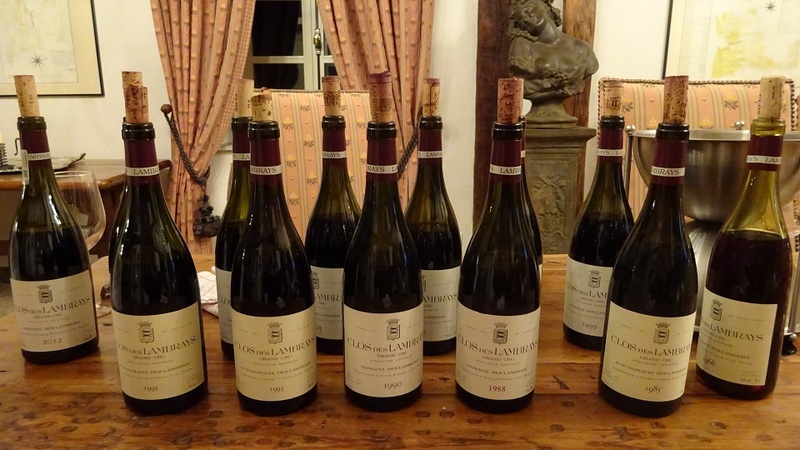 This past December seemed an ideal time for me to taste a vertical collection of the Domaine des Lambrays’ historic Grand Cru Clos des Lambrays. New winemaker Boris Champy, who took over in early 2017, had just completed his first vinification on his own following the retirement of long-time estate director and winemaker Thierry Brouin last spring. Yet the veteran Brouin, who has devoted most of his adult life to painstakingly restoring this previously underperforming old property to excellence over the past nearly 40 years, was still close enough to his subject to attend the tasting as well. This turned out to be fortuitous, in light of a subsequent and unexpected change in personnel (see below). The Clos des Lambrays is one of Burgundy’s oldest and most famous Grand Crus, first cited (as Cloux des Lambreys) in the deeds of the Abbaye de Citeaux in 1365. It’s also the largest clos in Burgundy that’s almost entirely under single ownership. The property was broken up among more than 70 owners during the French Revolution but was mostly reassembled during the middle of the 19th century by négociant owner Louis Joly, then fully reunited by Albert-Sebastien Rodier in 1868. The Clos des Lambrays essentially became a monopole. 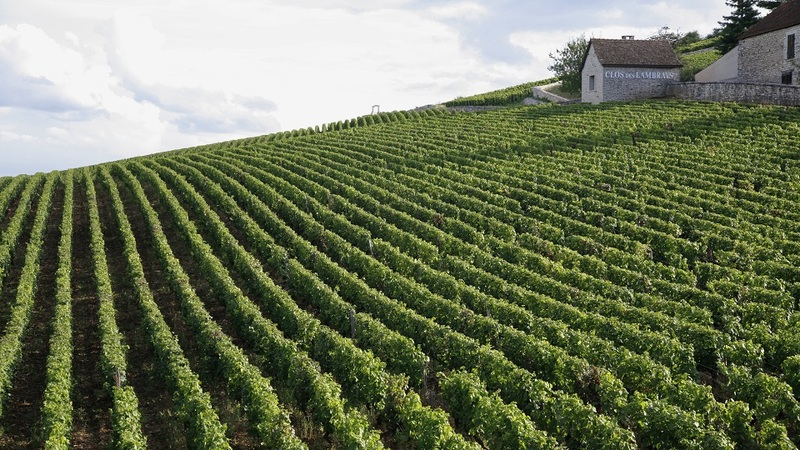 The property was ranked as a “première cuvée” in the 19th century, but when Burgundy’s appellations were created in the 1930s, the vineyard had fallen on hard times and it was not granted Grand Cru status. (Both Clos de la Roche and Clos Saint-Denis in Morey-Saint-Denis obtained Grand Cru status in 1936, with Clos de Tart following in 1939.) And when Renée Cosson purchased the Domaine des Lambrays in 1938 from Albert Rodier, the grandson of Albert-Sebastien, the new owner did not seek Grand Cru status since that would have resulted in higher taxes. Subsequently, Cosson—and her son Henri during the 1970s—for the most part neglected the estate during their 40+ years of ownership. 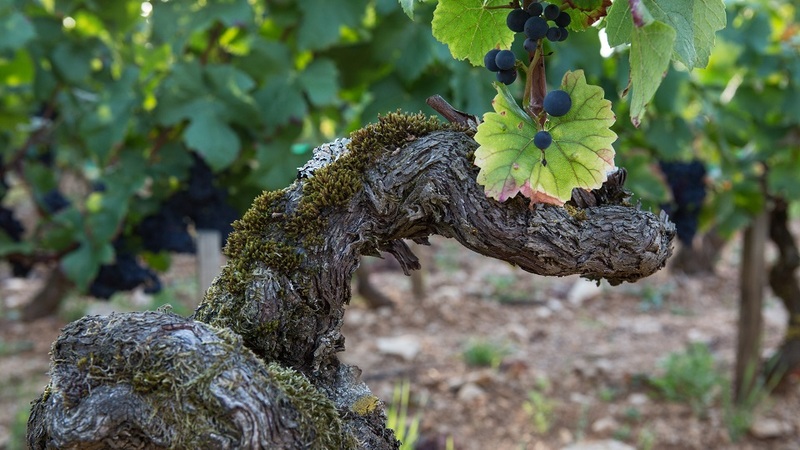 Although some outstanding wines were made during Cosson’s ownership, such as the ’37 and the ’45, the vineyard was in disarray by the end of their tenure as many dying vines had not been replanted. Some vintages in the 1970s were not even bottled. By then, the locals commonly referred to the property as Clos Délabré (dilapidated). The property’s fortunes took a major positive turn when Roland Chambure and the brothers Fabien and Louis Saier purchased it in 1979, shortly after the death of Renée Cosson. (A tiny portion in the lower part of the Clos des Lambrays—less than one-twentieth of a hectare—has been owned since 1965 by the Taupenot-Merme family and is essentially the back yard of their house in Morey-Saint-Denis. Romain Taupenot produces less than a barrel of wine annually from these vines.) The new owners quickly hired enologist Thierry Brouin the following year to direct the estate and make the wines. Domaine des Lambrays changed hands again in late 1996 when German contractor and long-time Burgundy lover Günter Freund and his wife Ruth acquired the estate for the current equivalent of 15 million Euros. They subsequently made further investments in vineyard replanting and renovation of the estate, undertook stricter selection of grapes on the sorting table, purchased a gentler and more efficient pneumatic press, and created an orangerie on the property. More recently, in the spring of 2014, the town of Morey-Saint-Denis was rocked by the news that Bernard Arnault’s Moët Hennessy Louis Vuitton (LVMH) luxury group had purchased Domaine des Lambrays at a staggering price of 105 million Euros. 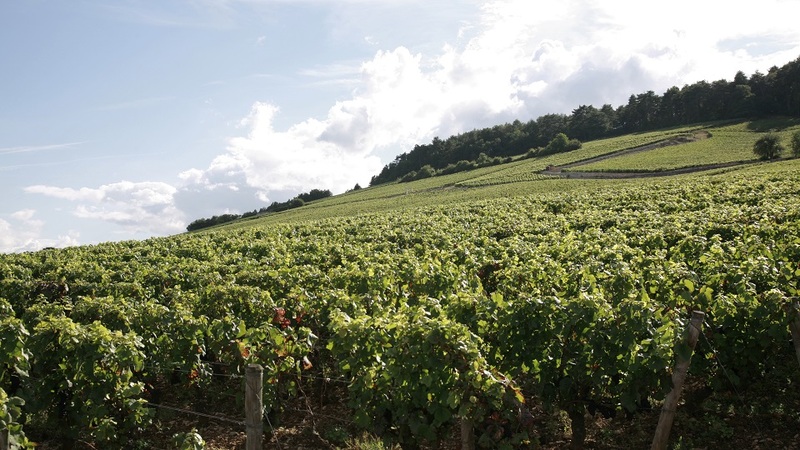 In addition to the prime Clos des Lambrays holding (8.66 hectares), LVMH’s purchase also included about a hectare of Morey-Saint-Denis village vines grown on thin soil above the Clos, and just over 0.3 hectare of Morey Premier Cru, plus small pieces of Puligny-Montrachet Clos du Caillerets and Les Folatières, which had been bought by the Saier brothers in 1993. With the subsequent purchase of the neighboring Clos de Tart in 2017 by François Pinault’s Artémis group (which also owns Château Latour, Château Grillet and Eiseley Vineyard in Napa Valley, as well as Domaine d’Eugénie in nearby Vosne-Romanée), two of France’s richest men can now be said to be waging a civilized proxy war on the slopes of Morey-Saint-Denis. Or perhaps not so urbane: as I was finishing up this article, I was shocked to hear that Boris Champy had abruptly left Domaine des Lambrays at the end of February after barely two years there and that Jacques Devauges, who had been hired away from Domaine de l’Arlot at the beginning of 2015 to direct Clos de Tart and make its wines, was moving next door to Domaine des Lambrays. Never a dull moment in Burgundy! Devauges, who was not yet ready to discuss the reasons for the move, mentioned to me that he had worked with Brouin as a trainee at Clos des Lambrays during the vinification of the 1997 vintage. And Brouin, despite being officially retired, will once again be available for consulting advice—a good thing, as Brouin knows where the vines are buried at Domaine des Lambrays. One of Brouin’s first projects after being hired by the Saier brothers in 1980, other than distilling some remaining barrels of 1973 and 1974 Clos des Lambrays into the local brandy, was to replant about 2.5 hectares of diseased vines in 1981 and 1982—more than a quarter of the estate’s vines in Clos des Lambrays—in Les Bouchots. This parcel, situated in the high northwestern section of the clos situated just to the south of the Domaine Ponsot home and cellar, had been totally ignored by the previous owners. Brouin also replaced about another quarter hectare of missing vines in the other parts of the clos because the Cossons hadn’t bothered to do any replanting during their tenure. Brouin’s early work at the estate enabled Clos des Lambrays to be granted Grand Cru status in 1981. 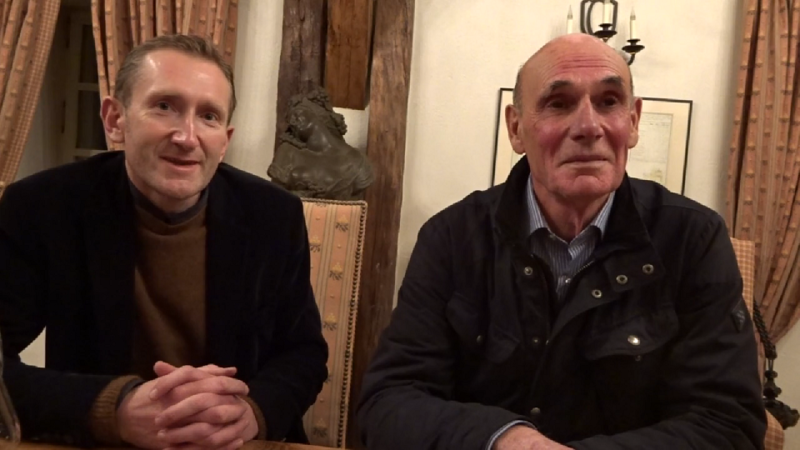 Today the vines in Clos des Lambrays range from 35 to more than 100 years of age, and Brouin told me that one of his biggest challenges has always been the need to handle the various plots and ages of vines differently. “Normally, we get four to six cuvées from the clos and for sure they are all different, depending on the microclimate, the age of the vines, and the harvest date,” he told me, adding that if a particular cuvée did not have “all of the qualities that a Grand Cru requires,” it could be declassified into the estate’s premier cru Les Loups, the foundation of which is the premier cru parcels La Riotte and Le Village. From the time he arrived at Domaine des Lambrays, Brouin has been an early harvester. During my tastings with him through the years he always contrasted his approach to that of Sylvain Pitiot at neighboring Clos de Tart, who was notorious for picking late. Brouin’s approach explains why the alcohol level of the finished Clos des Lambrays has only hit 14% once (in 2000). He also believes that his harvesting strategy preserves minerality and terroir character. At our tasting in December, Brouin told me that he regretted not waiting longer to harvest in only about 4 or 5 vintages out of the 38 he vinified here, including 1995, 2004, 2007 and 2008. 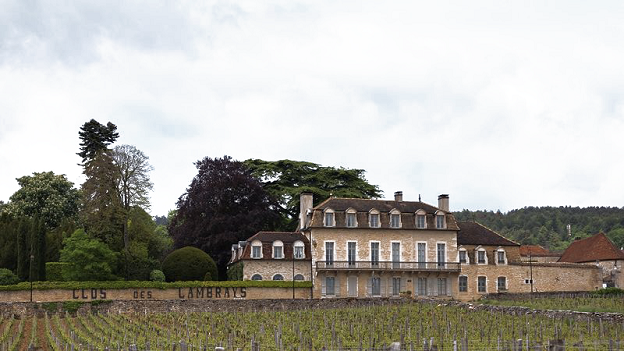 Brouin is certain that during the Cosson years, Clos des Lambrays was destemmed. But during the harvest of 1985 he kept some stems for the first time, and beginning with 1990 he made the wine entirely with whole clusters. Brouin also told me that he always practiced a fairly soft extraction. After three or four days of cold maceration, the fermentation started with the native yeasts. Brouin carried out four or five pigeages per day for about six days, using a pneumatic compressor to perform this action gently, and the total duration of the cuvaison has consistently been 12 to 14 days. Brouin was always able to hold the temperature of the fermentation to no higher than 34 degrees C. using what he described as “a really efficient system” of streaming water along the sides of the stainless steel vats. He has consistently used “no more than 50% new oak” to age the Clos des Lambrays, with François Frères his preferred cooper. Fruit flavors in the Clos des Lambrays include black cherry and raspberry, as well as other dark fruits such as plum and even blueberry. But this is essentially a soil-driven style, with the underbrush evident in the wine mingling with herbs, olive, pepper, and dark spices. 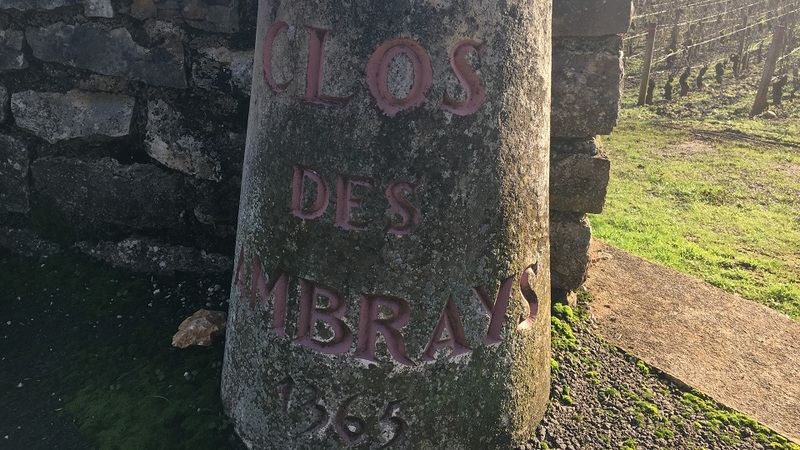 Owing partly to its sheer size, the Clos des Lambrays is a rather heterogeneous site, with a 60-meter difference in elevation between the bottom and top. It’s an essentially rocky, clay-rich terroir, but with mostly heavier clay and loam at the bottom, in the lieu-dit Meix-Rentier. The midslope, Les Larrets, features chalky, gravelly soil, and Brouin describes this parcel as “classic” Grand Cru, “with finesse, elegance and complexity and a perfect balance of tannins and acidity.” The top section of the clos, Les Bouchots, is an undulating band of rocky limestone- and iron oxide-rich brownish-red soil that’s open to the cooling influence of the Combe de Morey, which brings added elegance to the wine. 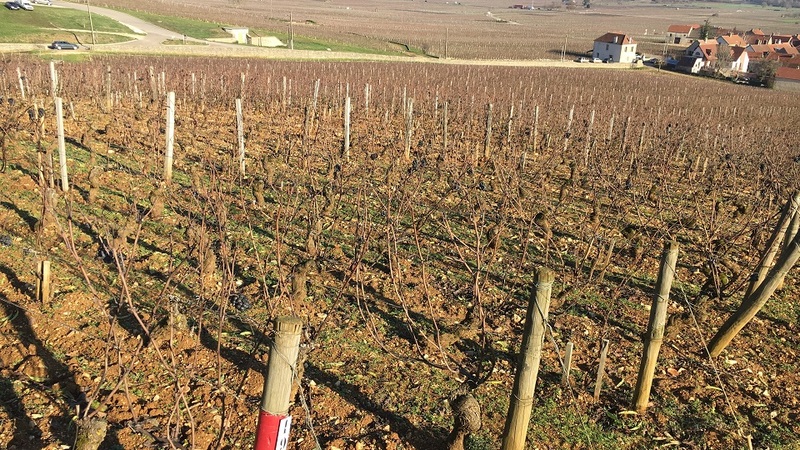 Brouin considers the Clos des Lambrays to be the center of Morey-Saint-Denis, and he maintains that it boasts greater soil diversity than Clos de Tart, with part of the vineyard higher than any other Grand Cru parcel in Morey-Saint-Denis. Brouin typically begins to assemble the blend during the first December. At this stage, inferior lots can be declassified into the estate’s premier cru, usually due to underripeness and lack of body. Owing to the whole-cluster vinification, the malolactic fermentations are usually early here. Lesser barrels—for example, those with high levels of volatile acidity—may also be declassified right up to the end of aging, and the bottling typically takes place during the second March. Brouin has always described Clos des Lambrays as an elegant, cooler blue-fruit-and-mineral expression, compared with the bigger, more new-oaky, dark-fruit-driven nature of Clos de Tart, but I often find as much red fruits (from the iron element in the soil?) as blue, particularly as the wines age. It’s clearly a Grand Cru of suppleness and finesse rather than sheer power. 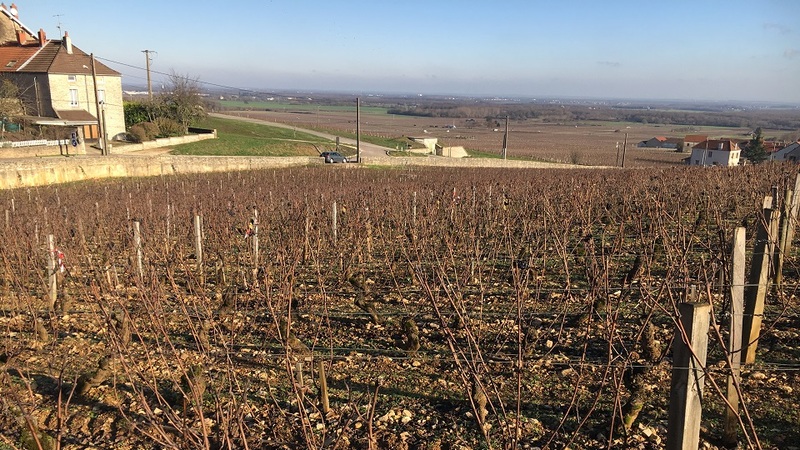 Although its hillside is essentially an extension of Gevrey’s, the Clos des Lambrays does not have the same power, muscularity and density of nearby Gevrey Grand Crus. Nor does it begin with color as deep as that of the Clos de Tart, in part due to its vinification with whole clusters. Still, it’s a concentrated, intense wine that’s kept vibrant and precise by a core of minerality. In cool vintages, Clos des Lambrays can come across as a bit spiky in the early going due to the combination of early harvesting and whole-cluster vinification, which can give the young wines distinct notes of pepper, spices, flowers, menthol and even eucalyptus. But it’s enticingly fragrant from the outset and its essentially elegant tannins and underlying minerality support an orchestral expansion in bottle. The vintages of the 21st century have shown more consistent density than previous years without any loss of this Grand Cru’s oxymoronic combination of musky wildness and refinement. It will be fascinating to see what the talented Jacques Devauges brings to this singular site in the coming years.